In case you’ve been hiding under a rock, The Chainsmokers have been exploding in popularity. When the famous duo signed on for a three-year residency with Wynn Nightlife this past January, we had no doubt they would take the strip by storm. Frankly, Mike and I knew The Chainsmokers would draw a big crowd to the Wynn properties. To be honest though, we underestimated just how big. We definitely weren’t prepared for the type of response we now experience at a Chainsmokers Las Vegas event. And if you’re one of the lucky ones that have been to Encore when The Chainsmokers are playing then you know exactly what I’m talking about. Frustrating doesn’t even begin to describe what some of you go through. Because of this, we thought it necessary to make things a bit easier. So, we’ve compiled a list of our best Chainsmoker tips. Take a look below; we’re confident you’ll be glad you did! To get a bottle service price quote for The Chainsmokers at XS, text us at (702) 816-6738 or email us at info@vegasprimer.com. For our international clients, please message us via WhatsApp. It doesn’t matter if The Chainsmokers are playing at Encore Beach Club or XS Nightclub. Whatever you do, get there early. This rule applies to everyone headed to the club too. So if you’re on the guest list, if you purchased a ticket, or even if you have a bottle service reservation, you need to get there as close to club opening as possible. (Encore Beach Club opens at 11 am, and XS opens at 10:30 pm). Getting there early will save you time in line and may end up costing you a lot less too. We’ll discuss the potential cost savings to an early arrival coming up. On weekend nights, XS opens their guest list line at 10 pm which is before club opening. We always recommend our guest list clients take full advantage of this earlier list time. We make this recommendation because the club gets packed fast. Additionally, an early guest list line means that the list will close sooner too. (Vegas clubs only offer guest lists for a limited amount of time). That short timeframe means you could be declined entry and forced to pay for a ticket if the list closes. Keep in mind though that the clubs reserve the right to charge the full admission price even if you’re on the guest list. For guys, if you have at least the same number of women in your group as you do men, then you might get in for free. On certain nights, XS will allow even ratio free entry if you can get to the club early. Usually, the cut-off time is 11 pm. If you don’t make it to the front of the line by this time, then you’ll need to pay a cover charge. Additionally, if you’re by yourself or with a group of guys (with no ladies), you can’t get on the list. To find out how to get on the XS, Encore Beach Club, or any other venue’s guest list, check out our primer on guest lists. If you’re not on the guest list and you’re not buying bottle service, you’ll want to buy your general admission ticket in advance. Here’s why: we recently noticed that on the day or night of prices for Chainsmokers tickets can go up two to three times the cost of an advanced purchase ticket. (Advanced purchase tickets are generally around $50 – $100 each depending on how busy it is and the time of year). Further still, we’ve seen ticket prices rise while people are standing in line. Vegas Primer Tip: If you’re staying at the Wynn or Encore hotels and you want to buy a ticket the day of, check with the concierge first. On occasion, they have lower ticket prices available. They also can get guests on the guest list. 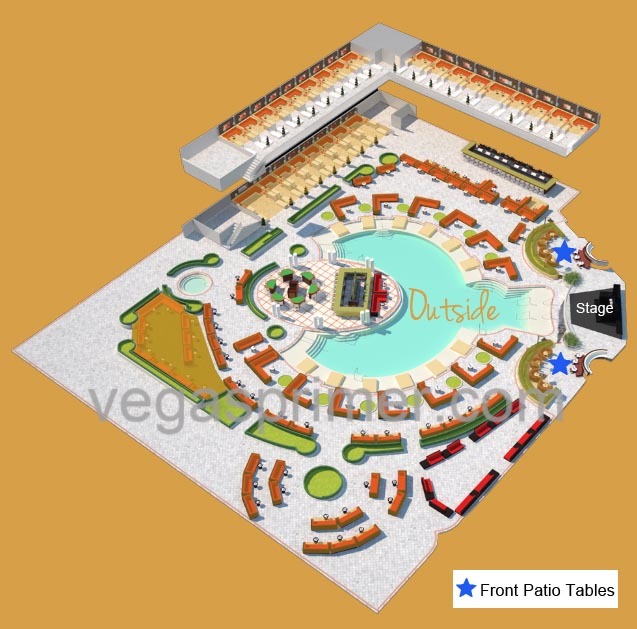 Additionally, VIP hosts that work at Encore Beach Club or XS Nightclub are given individual ticket links that are connected to the clubs’ booking system. If you know a host that works at either club, purchasing tickets through a host’s link may land you a discounted price on a ticket. And it should be considerably less than the price at the door. Don’t wait too long though. When it gets close to club opening, online tickets are no longer available for purchase. It’s no secret that seeing The Chainsmokers makes for some of the highest bottle service prices on the strip (prices start around $1,500 and can go up to $15,000+). Unfortunately, if you don’t make a deposit to lock in the price and location, you may experience a price hike. For example, let’s say you book online or through a host that doesn’t work at the club. When you get to the front, you may encounter a host saying that the price of your table is now $2,000 more than what you thought. (Two thousand dollars is just an example; it could be any amount,) If you want the same table section you originally requested, a host will tell you that you need to increase your bottle service minimum by $2,000. The only sure-fire way around the table price going up is to pay a deposit or prepay in full if possible. However, full prepayment is rarely available for The Chainsmokers. For a more in-depth look at what happens on the most popular nights in Vegas, take a peek at our big weekends in Vegas warning. On most nights (unless it’s nightswim), the absolute best tables for bottle service are inside the main room. However, they also come with a more expensive price tag. If you want to sit here, you’re looking at around $3,000 to 5,000 for a back wall table, and it goes up from there. However, there is a table section at XS that gets you up close to the famous duo without breaking the bank. The tables I’m referring to are the outdoor front patio tables. These tables are directly behind the stage. The blue stars on the image below show the location of the front patio tables. Sure, they’re outside, and they’re behind the stage BUT on a summer night who cares. And you still get an epic view because The Chainsmokers perform to the people outside too. The energy is high and you’ll feel like you’re right in the action as well. If you pick up a front patio table, you’ll save a lot of money on the bottle service minimum. Minimums for these tables usually start at around $2,000. However, prices depend on the day, time of year or if there’s a big event in town. The tables are somewhat smaller though so you’re looking at a four or five guest maximum. But again, the price is fantastic for how close you are to The Chainsmokers. For price quotes or to make a bottle service reservation, contact us at (702) 816-6738. If you’re looking for the most attractive people to party with, they’re at XS or Encore Beach Club. And this is particularly the case if the Chainsmokers are performing. Mike and I are recommending a time limit of midnight because XS’s main room fills to capacity FAST. So if you must go to the outside area then go early on in the night. If you go outside after midnight, you could get stuck out there for hours. We’ve had people tell us that they had to wait two hours in line. And once The Chainsmokers take to the stage, just forget about it. It’s near impossible to get back inside. And if you think greasing the bouncer is going to do any good, think again. There’s no tipping to get to the main room. The club can’t budge on capacity as it’s a fire safety issue. Also, if you have a table in the main room don’t think you can’t get stuck outside. If they’ve stopped letting people in then, you’ll need a manager or VIP Host to get you and bring you back to your table. So make sure that phone of yours is fully charged! Unfortunately, flashing that VIP stamp you got at the front door may not help either. One of the biggest misconceptions in Las Vegas is how long the DJs are on. A lot of people think that The Chainsmokers will perform the entire night – from club opening to club closing. However, this is not the case. At all Vegas clubs, there’s a DJ that starts off the night until the main event takes the stage. The Chainsmokers come on at 1:30 am, and their set is 90 minutes. This is a decently long time, but it can be a disappointment to those who thought they were going to party it up with The Chainsmokers all night. So, just know going in that you’ll have to wait to see them perform. But like we mentioned above in Pro Tip #1 you still need to get there early because the club could reach capacity which means you won’t get to see them at all. 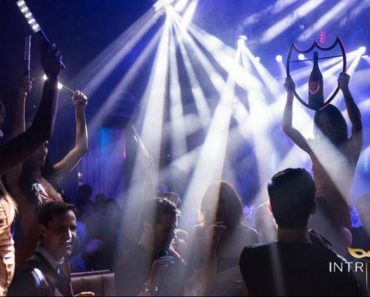 If you’re a girl and don’t want to deal with XS at the beginning of the night, Intrigue Nightclub offers an attractive option. 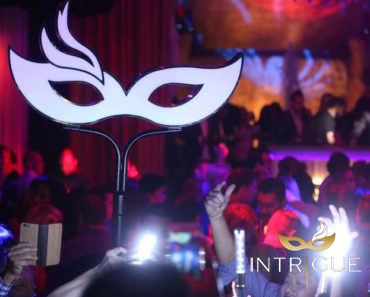 For Intrigue’s guest list ladies, an Intrigue VIP host will walk you over to XS a few minutes before The Chainsmokers come on… for free. Now, this is all dependent upon whether XS is at capacity. But, assuming it’s not then it’s an excellent way to have a less hectic start to your night while still getting to see one of the most popular acts on the strip. And because Intrigue is a smaller and less popular club, you may experience more benefits too. For instance, you’ll be more likely to get a girl comp table or drink tickets at Intrigue. If you’re interested in going to Intrigue before heading over to see The Chainsmokers, reach out to a VIP host that works at Intrigue or contact us and we can set you up too. For more information about Intrigue, click here. For the fastest bars and bathrooms, head to the outside area of XS. Getting drinks inside can take a long time, and bathroom lines are known to be a wait in the main room as well. But keep in mind that you may get stuck if you go outside after midnight. That wraps up our pro tips for seeing The Chainsmokers Las Vegas. For any questions regarding The Chainsmokers email us at info@vegasprimer.com. Additionally, for guest list and bottle service reservations call or text us at (702) 816-6738. Due to the volume of requests we receive, we can only respond to bottle service inquiries at this time. We include all of our general club knowledge on our website. Thank you!